Valentine’s Day is fast approaching (wahhhhh!). I always find it a tricky one to plan for, do you? I’m not massively keen on sitting in a restaurant along with a million other couples, gazing into each other’s eyes (Naff) playing romance-by-rote, being handed a soggy rose (Naff. And if you’re gonna do it, get me 24 will you? 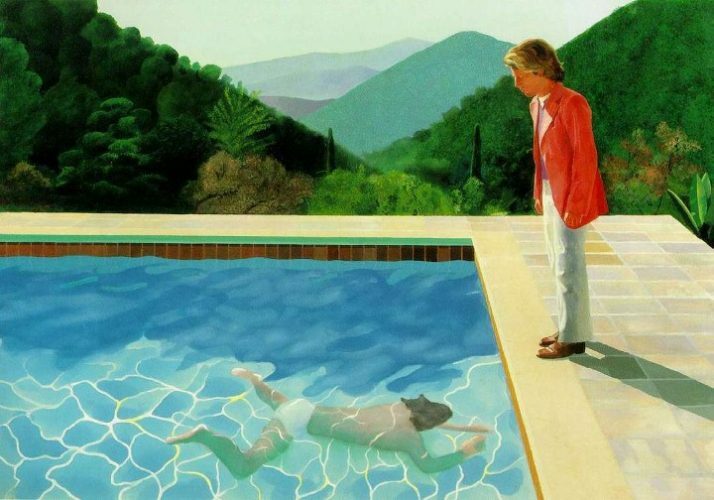 )… Red underwear? Double naff (and also a bit Kat Slater). Chocolate? Unoriginal (but edible at least). There is something so stirring and stunning about the Dover coastline – the raw natural beauty of those majestic white cliffs gets me every time. It’s where my parents got engaged as it happens. 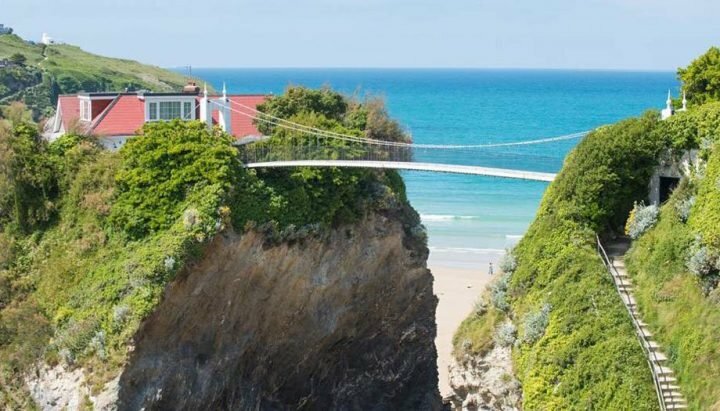 Get wild and windswept then head to White Cliffs Hotel, a smart stylish retreat who also serve up top notch food in the kitchen, including fish fresh from the day boats. The Hotel has been awarded a Walker’s Welcome status and has a boot/drying room, copies of walking maps and lots of ideas on the best routes to take. Elmley is a 3,200 acre estate on the Isle of Sheppey, a spectacular landscape full of wildlife – and pretty little shepherd huts like this one for you to hide away in. Complete with a full sized double bed, ensuite bathroom, wood burning stove, blankets and fairylights – snuggle up, pour the brandy in your hot chocolate and enjoy the sweeping vistas across the marsh, Swale Estuary and the mainland beyond. On a clear day you can see Whitstable. In winter spy rafts of wildfowl sheltering on Swale, and short-eared owls gliding over the ponds. Peeeeeeace and quiet. This route offers an excellent, almost entirely traffic-free ride from the heart of Tonbridge alongside the River Medway, out into the countryside as far as the glorious buildings of Penshurst Place, around 5 miles to the west. Check out the route here. After skirting Tonbridge Castle, head west out of the town on to a traffic-free cycle path which runs around the edge of Barden Lake. The route takes you through Haysden Country Park (recently won the Green Flag award for being one of England’s best) and on to the Penshurst Estate. When you get to Penshurst Place, you’ll be wanting to stop at The Garden Restaurant for well earned refreshments. If it’s an animal encounter you want (grrrr) then head over to Port Lympne Reserve or Howletts Wild Animal Park where they offer tours and the chance to get up close and personal with some of the most rare and endangered animals on the planet. Near Howletts, in Ickham, is Mark Sargeant pub, The Duke William, and the perfect spot to fuel up afterwards. Enjoy a walk along the Whitstable seafront and soak up the town’s friendly, but fashionable atmosphere. Yes, oysters are rightly so the food of luuuurve, but you don’t have to endure the formality of starch tablecloths and violins if you don’t want to. Instead head to laid-back Wheelers Oyster Bar (recently had a refurb) where the vibe is much more authentic and the seafood second to none. Are you a galanthophile? If you’re not sure what that is, it’s those with a fetish for snowdrops. Oh yes, apparently snowdrop collectors are among the most competitive varieties of plant nuts, and some will stop at nothing to get hold of a rare bulb (no, that’s not a double entendre). This is the third Snowdrop fair to take place in this wonderfully quirky garden. Set around a 17th century manor house and showcasing 7 acres of beautiful and rare plants (including an Italian Garden, romantic ruins, enchanting woodland walks) this is a real hidden gem. Teas and lunches are also available in the cute The Old Dairy Tearoom. 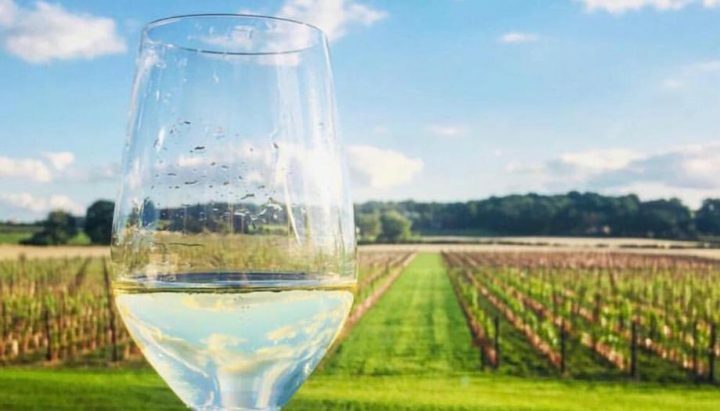 Like the sound of fine English wines, food dishes to die for and a stunning view over Kentish vineyards? (Of course you do, you’re not mad). Chapel Down Winery (England’s leading wine producer right here in Kent) is offering the Classic Gift Experience that starts with a three course lunch and a glass of wine at the winery’s two AA Rosette Swan Restaurant followed by a guided tour behind the scenes of the vineyards and winery. All this will be followed by a tutored wine tasting as well as a £10 voucher to redeem against purchases in Chapel Down’s Wine and Fine Food shop. Available from £60pp, this is waaay better value for your buck than some naff heart-shaped choccies and Ann Summers knickers. Will it be the Maiden’s Tower, Madam? Or the Stable Courtyard, Sir? Please, let me take your luggage up to your luxurious bedroom. 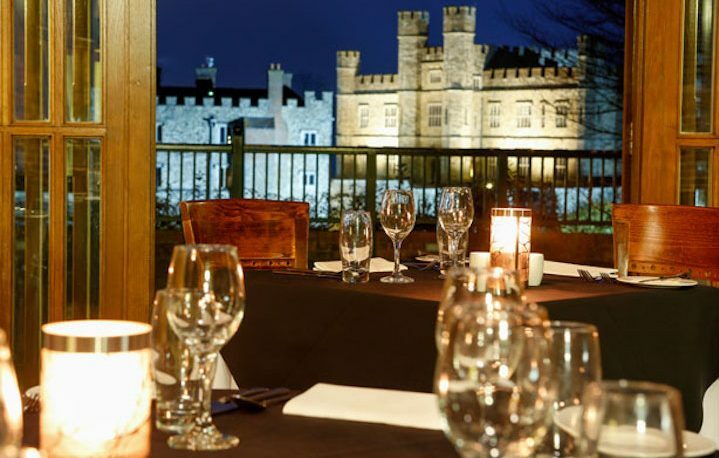 Well, if you’re going to insist on the romantic dinner and stay thang – you may as well do it in style – so why not dine at Leeds Castle’s very own Castle View Restaurant? 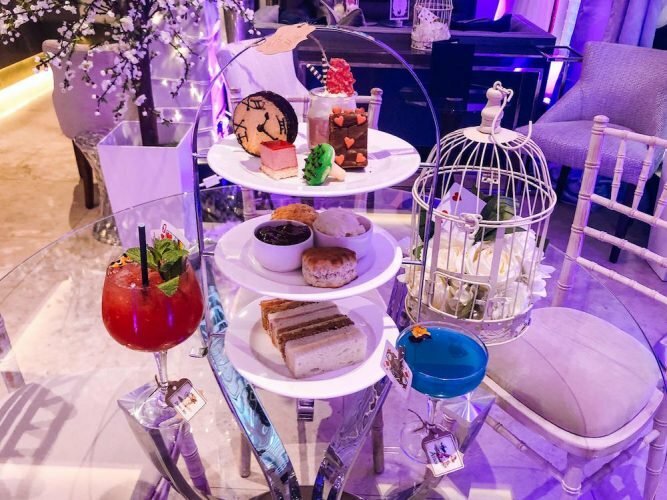 Champagne awaits you in the Library and then the Butler will call for a delicious three-course candle lit dinner to be served in the Henry VIII Banqueting Hall. Seriously, I’m not making this bit up. A harpist will play of course. Okay, I admit it, this is one romantic setting that’s probably anything but naff. Get me in the right mood (more wine please, manservant) and I could definitely become a bit Anne Boleyn. 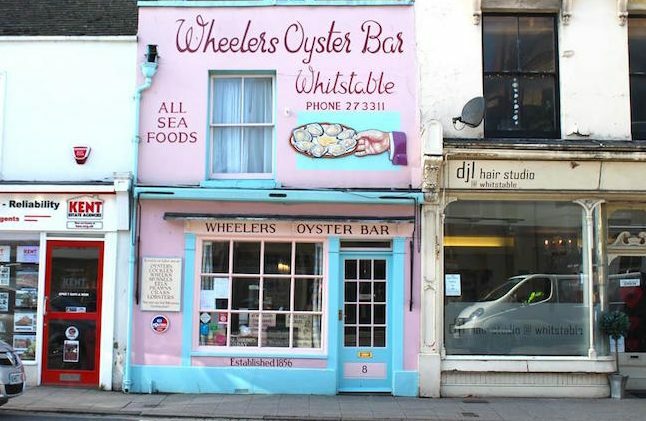 I’m pretty sure Wheelers Oyster Bar in Whistable just appeared in the recently published list of Kent restaurants with poorest food hygiene levels so not sure it deserves to be getting recommended on this site!!! Hi Sarah – just to be clear – the list you’re referring to has just been reprinted and is old news. The inspection took place while Wheelers Oyster Bar had a temporary kitchen. Since then there has been a spankingly new refurb (mentioned in my piece). I have personally spoken to the chef of Wheelers Oyster Bar (and visited myself) they are doing fab and fully booked. They are fully confident for a positive food hygiene report next time.